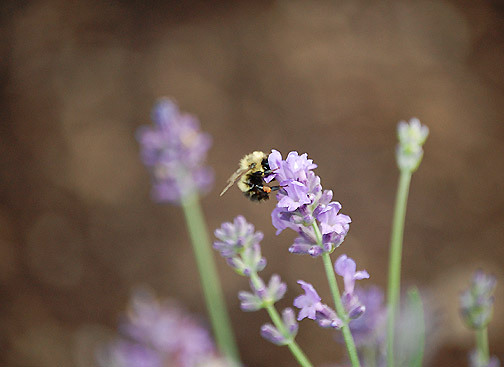 Essential oils are natural, aromatic compounds found in the seeds, bark, stems, roots, flowers, and other parts of plants. Plain and simple, they’re all natural and created by God. They speak the language of life. 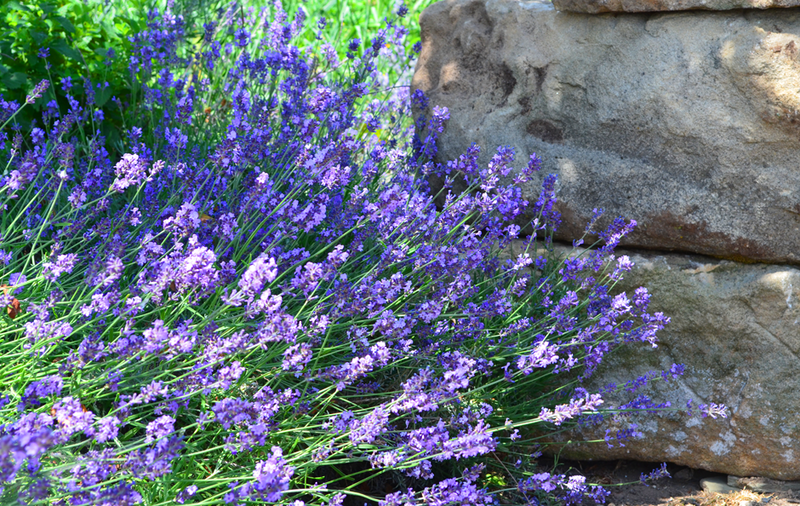 In technical terms, essential oils are non-water-based phytochemicals made up of volatile aromatic compounds. Squeeze the peel of a ripe orange or lemon. The fragrant residue on your hand is full of essential oil. People have been using plant oils to treat ailments for thousands of years. Modern medicine is rooted in those ancient ideas. It makes sense to continue (or perhaps rediscover) their genuine usefulness. I began using essential oils nearly two years ago. They are superb at promoting wellness, boosting immunity, and removing toxins from the body. I thought essential oils were strange, too. At first. Now I’m pleased to say we use essential oils every day. I use oils on my skin and in my hair. I’ve replaced our cleaning supplies, incorporated essential oils into recipes, concocted lotions and potions and lovely bath accoutrements with these natural, non-toxic oils. We breathe them in, massage them on, and drink them down with a glass of water and sometimes, tea. I’d love to tell you more … I could go on and on … but suffice it to say Young Living oils are essential to family life here at Tuckaway Farm — and I want to share them with you! Every member of my family uses Young Living Essential Oils each day, for various purposes. I wholeheartedly believe the oils improve our well-being — and I want the same for you. There are two ways to order Young Living Essential Oils. Retail Customer: this type of membership is completely free to join. It allows you to easily order the oils and products that you need at retail pricing (no discounts), plus tax & shipping–sort of like purchasing from your own private store. Independent Distributor Customer:(this allows you access to serious discounts!) The greatest benefits come from joining as a Distributor Member, even if you are new to oils. Not only do you get the Premium Starter Kit ($160) that will help you explore the benefits of a variety of oils and a diffuser, but you will also receive a 24% discount off every product you order for life, as long as you place at least one order per year with a minimum of $50 of product. This is a great value! The contents of the kit would retail for over $300, but as a new wholesale member, you get it for $160 (plus tax and shipping). 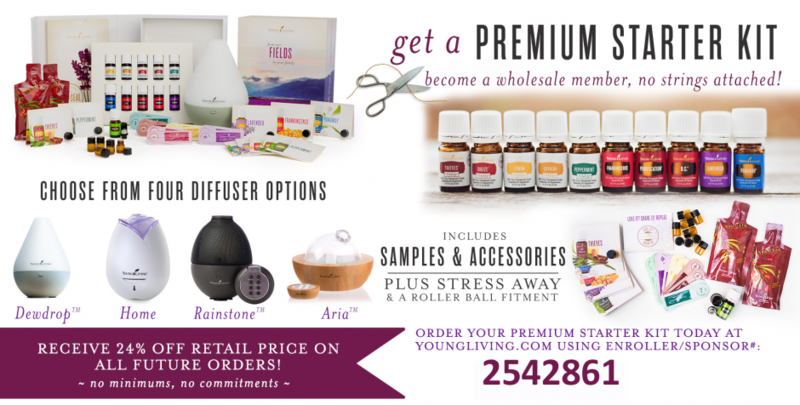 The Premium Starter Kit is a super way to save! As a member of my team you will also receive reference materials, ongoing support and training through a private Facebook group, webinars, classes, blog posts and more! I will provide you with an essential oils reference handbook when you order a Premium Starter Kit. Click here to begin the enrollment process. It’s easy! Wholesale Member will already be selected. This wholesale membership is NO strings attached, and it’s absolutely fabulous. If you select “Retail Customer” you will not receive wholesale pricing, you won’t have access to starter kits, and you will pay retail cost which is 24% more than wholesale. Ensure my member number  is in both the Sponsor ID and Enroller ID spots. Please include your email address. If you don’t, I have no way to invite you to the Facebook support groups. They’re awesome — think endless ideas, insights and suggestions for using oils, as well as people like you and me with more experience, who answer oil questions day and night! I also suggest you sign up for Essential Rewards (though it’s not required!). You will earn free items each month by being on this program … AND reduced shipping … and you can edit or add to your order up until the day the order processes each month. That’s it! I can’t wait for you to begin this exciting new chapter in your life — and truly, that’s what it is. If you have any questions, please just ask: jennifer@farmgirlfollies.com. As a Wholesale Member, you have the opportunity to share oils with friends and build a business, but you certainly don’t have to. If you are interested in the business side, sign up with me and I’ll help you get started earning commissions and participating in promotions to get free oils! It’s a wonderful way to earn a little extra!